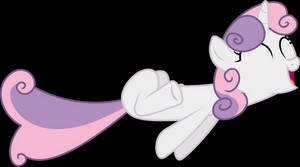 "Said hush now, quiet now, time to go to bed..."
- from Sweet Paint in Manehattan. Sing sweetie sing! Find your talent and get your cutie mark.